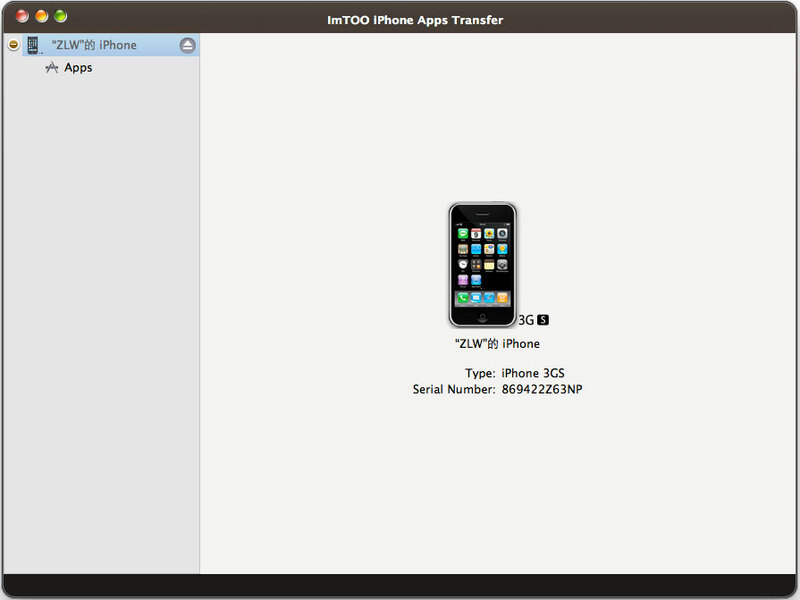 ImTOO iPhone Apps Transfer for Mac 1.0.0.20120816 無料ダウンロード - Transfer app between iPhone, Mac and iTunes, manage iPhone app documents on Mac. ImTOO iPhone Apps Transfer for Mac is a smart and easy to use tool for Mac users to manage iPhone apps and app documents. Now you can conveniently backup iPhone apps to Mac, delete apps on your iPhone or move the apps back to iPhone. More functional, with ImTOO iPhone Apps Transfer for Mac, you can also manage app documents of iPhone on your Mac directly. 2.Support transfer apps in batch, choose them and then transfer is enough. 3.It is tremendously easy to transfer apps by Dragging and dropping. 4.All the iPhone apps will be showed up automatically once the iPhone is connected to Mac. 5.Search app(s) becomes simple with the app search box. 6.When you choose an app, its documents will be showed up with Name, Modified time and Size. 7.English, German, French, Spanish, Italian, Simplified Chinese, Traditional Chinese and Japanese interface languages are available.